I have seen similar vases with silk/artificial flowers in high-end stores going for big bucks. I was blown away when mine arrived. 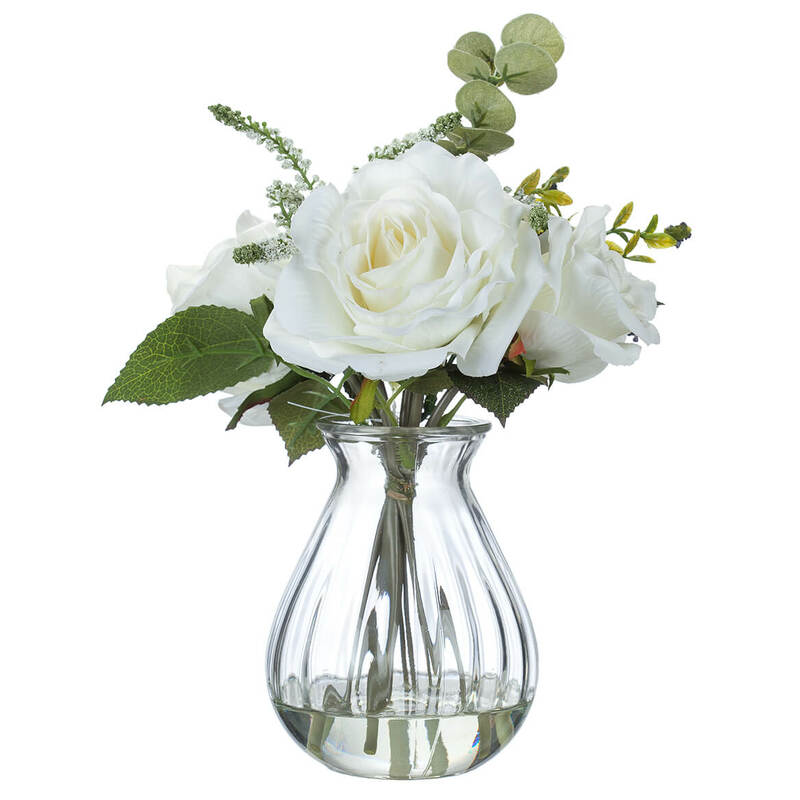 These white roses on a vase with faux water in the bottom are beautiful and really inexpensive. 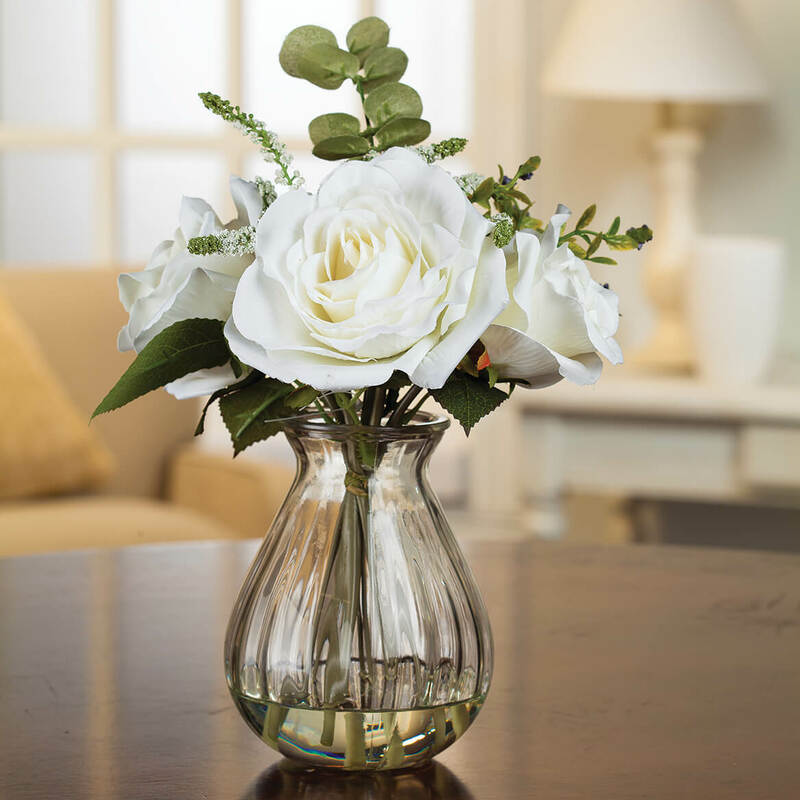 Other than using as a centerpiece or on an end table, these would make excellent floral centerpieces at a shower or wedding and would cost a lot less than real roses from a florist. I wanted to send an ill friend flowers and felt this would last much longer than fresh flowers. Thought these would make good birthday gifts for two of my friends! They look like they should be very pretty!